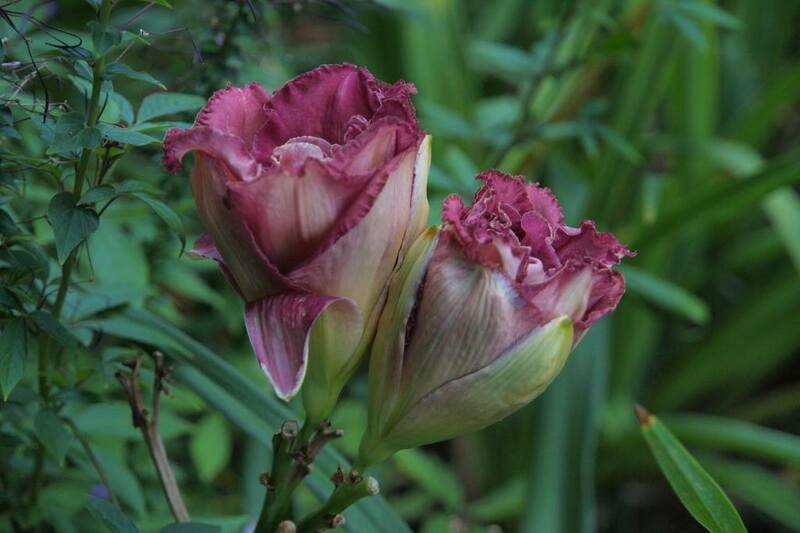 Possibly our all time favorite from Enman Joiner’s line of Tulip Shaped doubles, WOH usually holds the cup shape of the outer petals and sepals until late in the day. 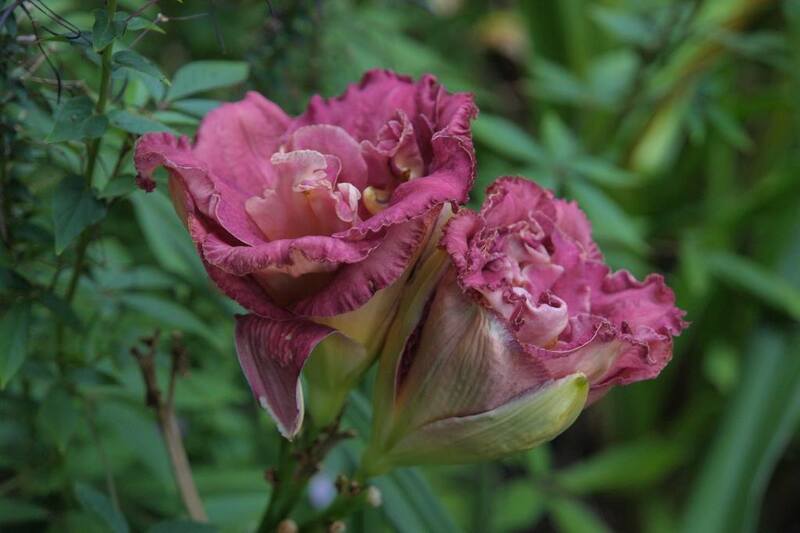 Occasionally the sepals will fold down while the petals remain upright enclosing the intensely ruffled center petloids. A dusky wild rose, the colour becomes a little more dusky as the day progresses. Foliage is big and blemish free – we actually consider it to be some of the best looking early spring and late season foliage in the garden. Bloom starts in our gardens the last week of July. 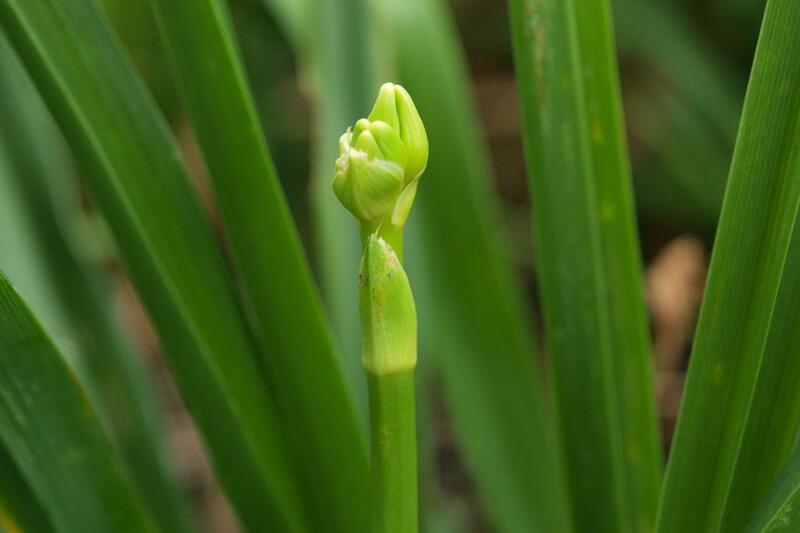 Word of Honor buds start opening the day before. 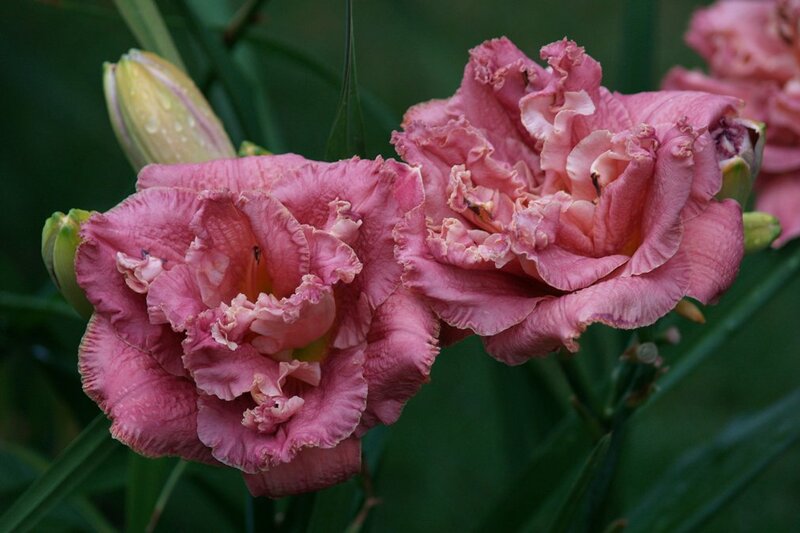 Word of Honor is a late blooming double that usually starts blooming for us toward the end of July and blooms through August into September. 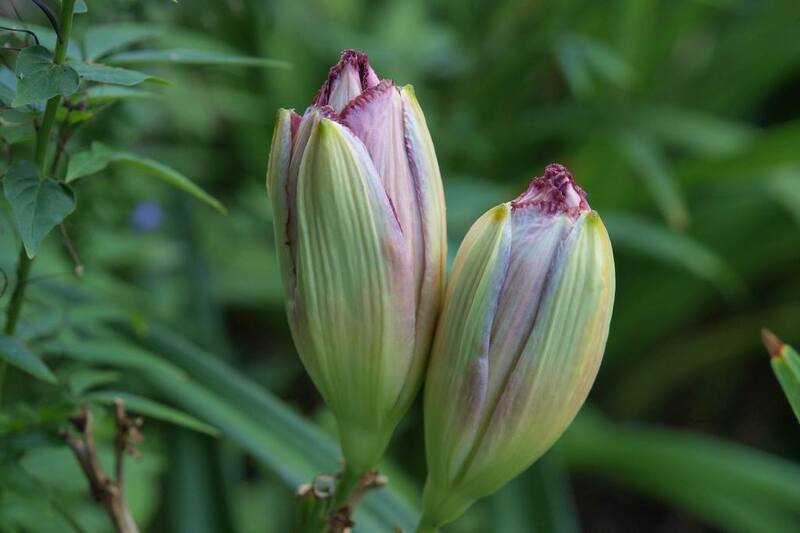 Enman Joiner bred a line of Tulip Shaped doubles of which WOH is probably the finest. 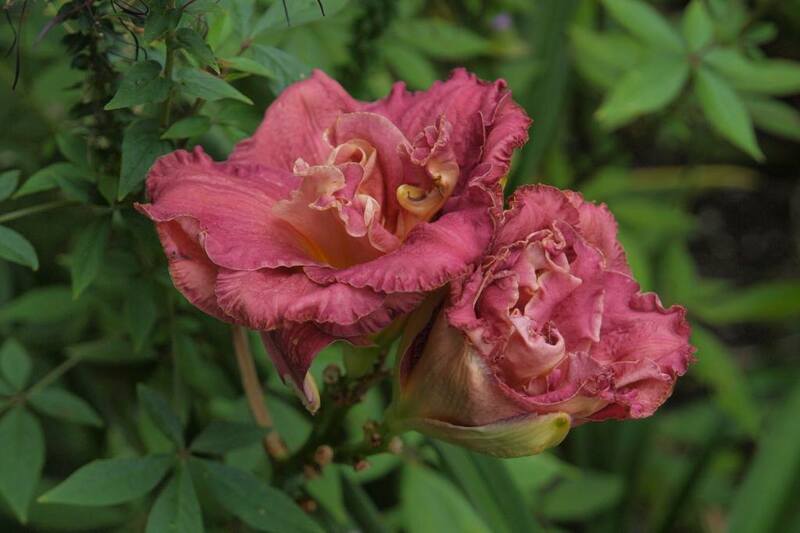 Usually it is considered a fault if a daylily doesn’t open fully by early morning but in the case of WOH, the cup shaped sepals contain the intensely ruffled bloom well into the afternoon if not the entire day. This characteristic gives WOH a level of distinctiveness that is most unusual and beautiful. Word of Honor is a pretty reliable rebloomer provideing bloom through September and October as long as the weather stays warm enough. 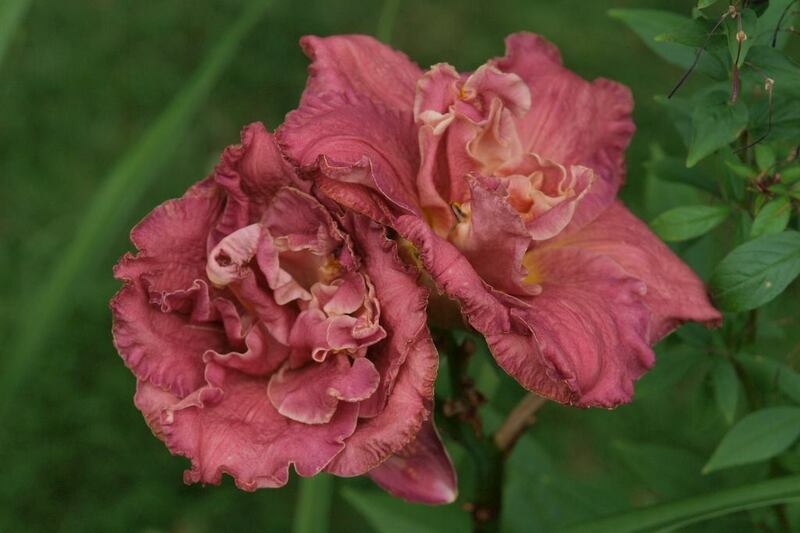 Here is a rebloom scape developing the end of August.